The dark fear – what do we do on that Sunday when we open the doors and no-one turns up? I was talking to the pastor of a church – a large one, in a major city. He’s a good preacher, and the ministries of his church have been built on may years of faithful bible teaching. That’s every pastor’s dark thought, of course. When we open the doors this Sunday, will they come back? Why should they, when there are the options of visiting family, going for a bike ride, hitting the shops – or even just having a lazy day with the papers and some coffee? It all feels so very fragile – and it was good to hear that the pastor of a large church has the same worries that the rest of us. Now, there’s a deep spiritual reality to this. 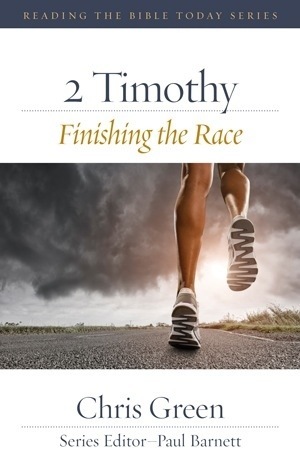 If you read 2 Timothy, you’ll see that Paul and his protegé faced defections from even trusted leaders, and gullible church members were being lured into the glitzy false church down the road. So Paul bucked Timothy up – what do you do when you have the Sunday when you open the doors and no-one turns up? Do the work of an evangelist (2 Tim 4:5). The foundation of the gospel is secure, the foundation of the church is secure, the foundation of our ministry is secure. All of that is unchangeable. Our ministries may be of gold, silver – or wood, straw or hay. For that we shall be accountable. But the quality of the building materials is not determined by the number of people who come, the dazzling nature of the band, or the warmth of the welcome. Timothy’s rivals down the street had all those, and more. No – proper, strong building is done by the content of the teaching, laid on a secure confidence in the foundation of the gospel of God. If no-one turns up this Sunday, don’t lock the doors and go home. Do the work of an evangelist. Start again. Aussies – Koorong has it here. Previous postIs today harder than yesterday? Here’s the biblical reason why. The more the distractions, the more hungry the congregation, who will always come to be fed.